There’s no denying the significance and popularity of video games in today’s society. Whether we play them to unwind from a stressful day of work or purely for entertainment, video games provide an incredible outlet for a multitude of people. Because of its joy-inducing nature, it’s no surprise the video game industry continues to grow at a rapid pace and has become beloved by millions. Chances are you consider yourself part of these millions, but just how far would you take your love of video games? Maybe you’d hang up a handful of posters around your house, compile a collection of video game figurines, or even opt for every “Collector’s Edition” of your favorite title. But would you consider doing something even more drastic; maybe something you’d never have the ability to part with? This is exactly what the following gamers did when they decided to decorate their bodies with tattoos of their favorite video games and characters. So, while tattoos and video games don’t necessarily go hand in hand, these individuals found a unique way to declare their allegiances, and the results are fascinating. 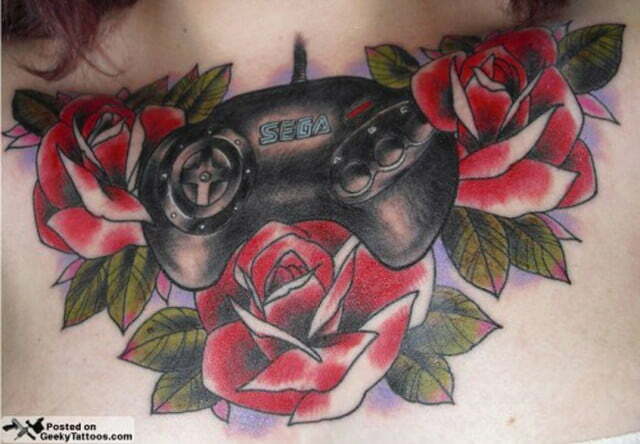 What follows are our picks of the best gaming tattoos from around the Web, as well as a few of the worst. When Epic Games released the first Gears of War on the Xbox 360 in 2006 it quickly spawned a legion of loyal followers. 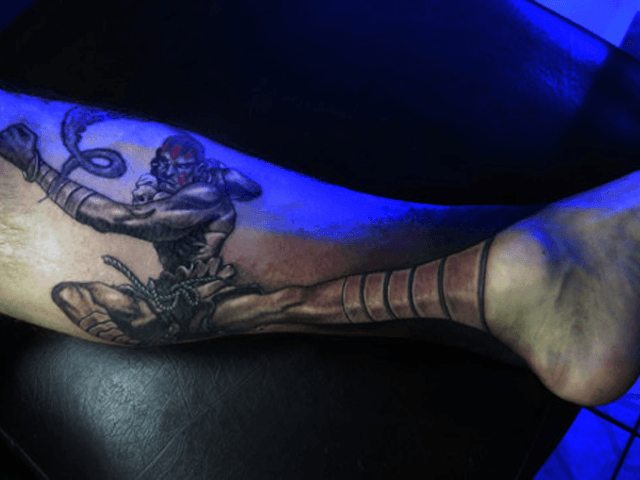 Little did the developers know it would push people to adorn their bodies with the game’s popular protagonist, Marcus Fenix. 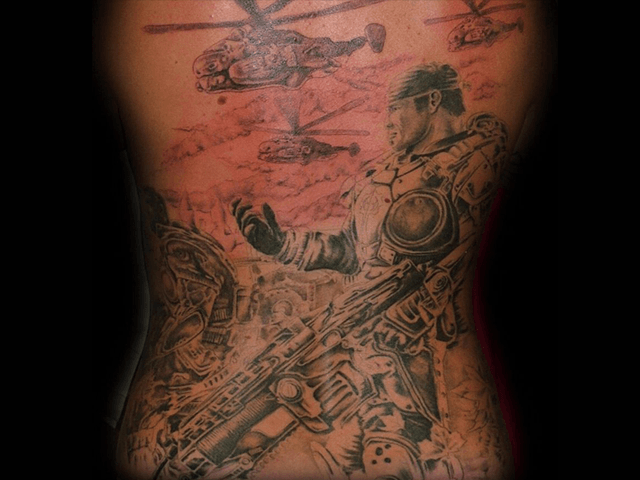 The above tattoo references the cover of the franchise’s second installment, Gears of War 2, with the tattoo artist accurately portraying the game’s immense detail. Sadly, a tattoo of this scale didn’t unlock any in-game — or in-life — achievements for this bold soul. It’s no stretch to say most people who owned an NES in the ’90s have fond memories of their time spent with Super Mario Bros. 3. But getting a half-sleeve tattoo of the game to commemorate those memories? A much rarer feat. Nevertheless, this Mario superfan accomplished this very exploit and captured the game’s style in perfect fashion. 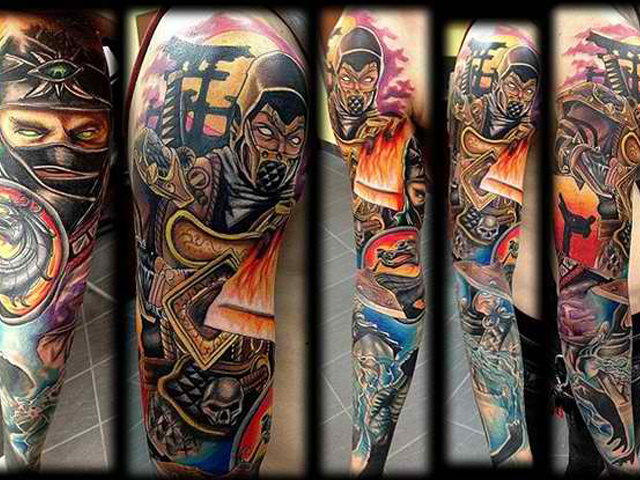 This Mortal Kombat arm sleeve shows one fan’s true dedication to one of the longest running fighting franchises of all time, for better or worse. Featuring the likenesses of Scorpion, Raiden, and Ermac, this particular fan displays his eclectic taste in character choices. Also emblazoned amidst the chaos of the sleeve’s artwork is the updated version of the series’ iconic dragon logo. This arm sleeve certainly took several visits to the tattoo parlor, though it’s clear the finished product is a flawless victory. No doubt one of the cleanest tattoos of the bunch, this Legend of Zelda inspired work is quite the spectacle. Weaving together Ocarina of Time, Skyward Sword, and the game’s iconic Triforce symbol, it’s a perfectly constructed tribute to one of Nintendo’s most beloved series. 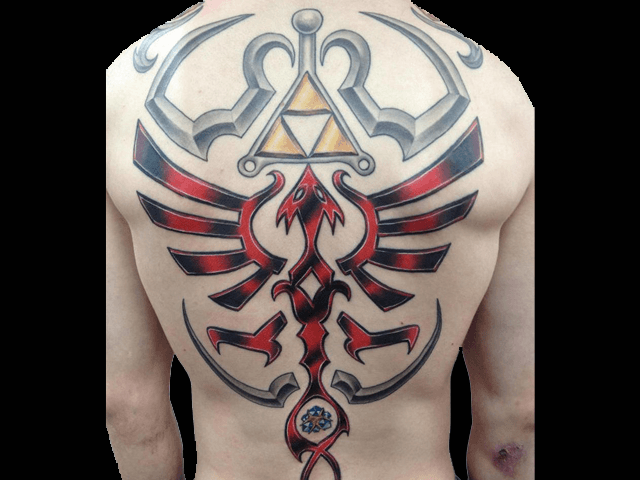 If only Link knew it was as easy as just getting a tattoo to assemble the Triforce. What do you do when your Pokemon Red game cartridge finally goes kaput? 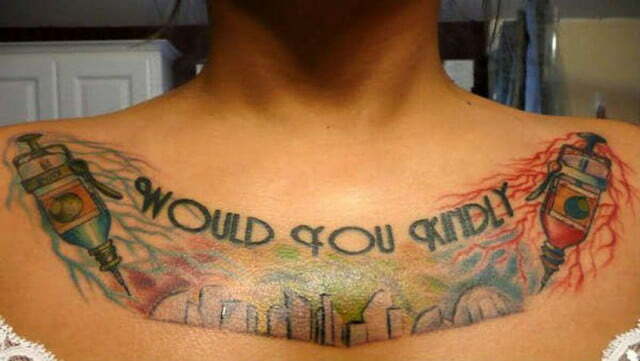 Obviously you get a giant, full-colored tattoo featuring your favorite character. 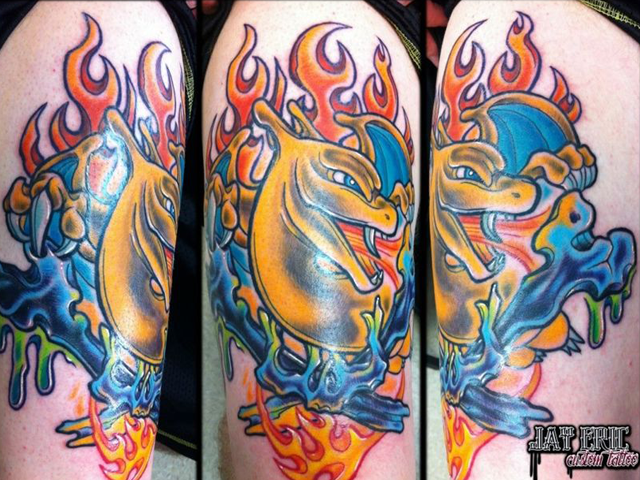 This particular Pokemon fanatic decided to never leave home without his fire-breathing sidekick, Charizard. Though much to his or her dismay, this version of Charizard does not come with its standard Blaze ability. 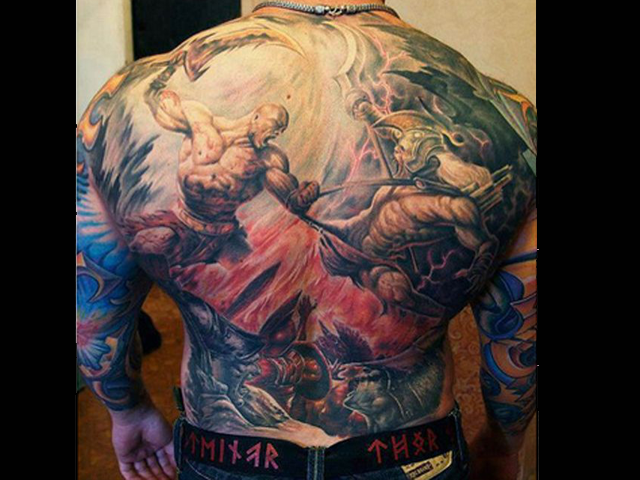 This loyal Sony fan gives its God of War franchise a proper tribute with an epic, sprawling back tattoo. Featuring a scene taken from the second game in the franchise, God of War II, the artist behind this piece accurately portrays Kratos’ brutal savagery. Shown wielding his signature Blades of Athena, the scene depicts Kratos doing what he does best; slaughtering anything and everything he sets his eyes on. Unfortunately for the bearer of this tattoo, people won’t remember who Kratos is when they set their eyes on this tattoo in five years. 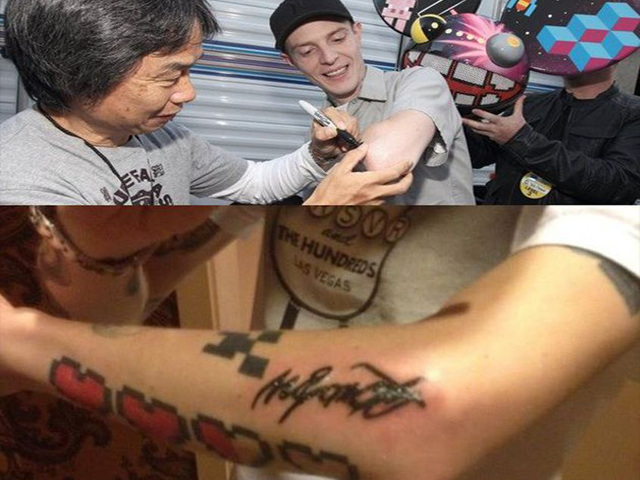 Who knew Joel Thomas Zimmerman (better known as Deadmau5) was such a huge Shigeru Miyamoto fan? Judging by the already inked Legend of Zelda heart meter tattoo, and the ear-to-ear grin, Zimmerman seems no stranger to Miyamoto or his impressive work history. Should we expect a Nintendo-themed mashup album from the accomplished DJ soon? Street Fighter’s Dhalsim character famously utilizes an arsenal of moves using his out-stretched arms and legs. 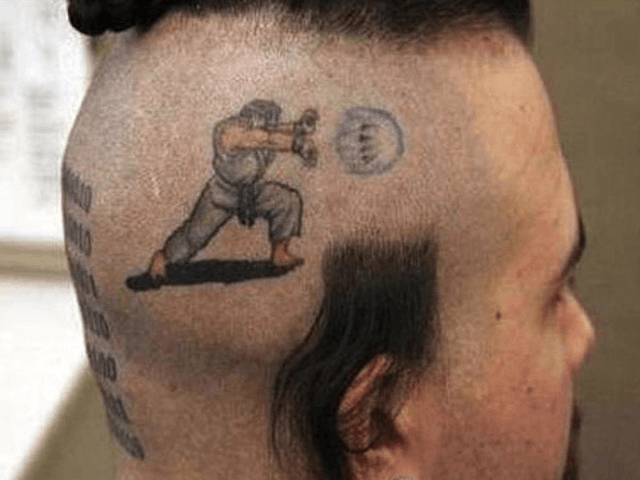 Not only does this piece highlight his fighting style so perfectly, but it’s one of the most unique and clever gaming tattoos we’ve seen. Though, based on the rest of our list, it wasn’t very hard to achieve this. 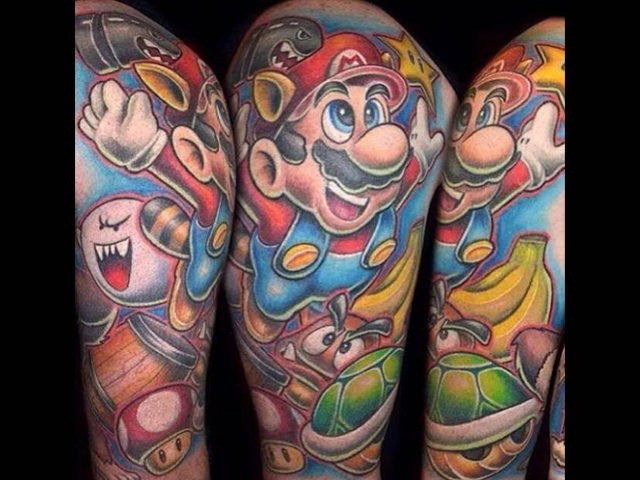 Another Super Mario tattoo makes an appearance on this list because why not give the most popular video game character of all-time more notoriety? 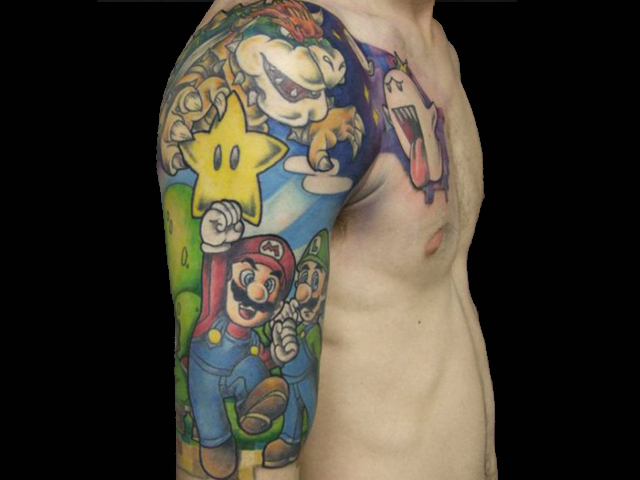 Though unlike the first Mario entry, this particular tattoo features the likes of his main foe Bowser, and his less-popular brother Luigi. Despite Bower’s nose looking a little funky, the tattoo artist behind this piece did a sensational job of capturing what makes Mario, Mario. Judging by the look on Luigi’s face, we get the strange feeling he knows more about what happened to Princess Peach than Bowser. 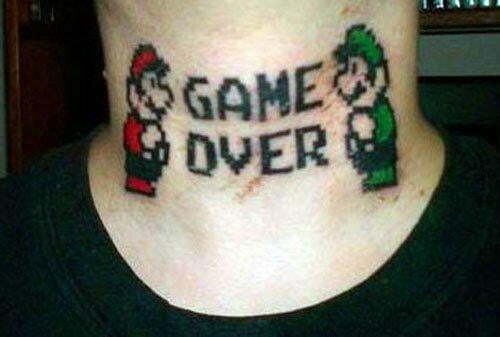 Next page: A few of the worst gaming tattoos on the Web.